We need to ground discussions of the significance of Rachel Dolezal’s race on the question of how—how race works and who pulls the strings. Like many people, I’ve spent the last few days avidly following the case of Rachel Dolezal. 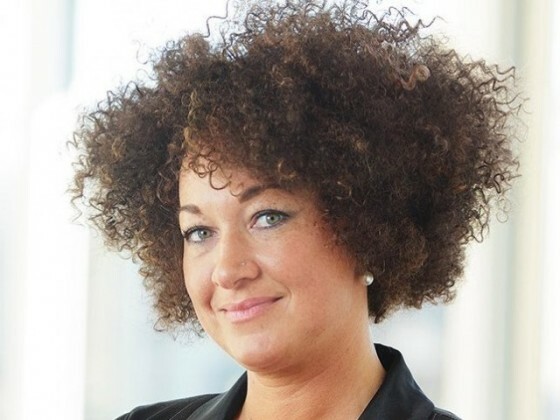 Dolezal, the current president of the Spokane, Washington, chapter of the NAACP, is in the news because she is white. Or rather, she made the news because she is a white woman living her life as self-proclaimed black woman. Unsurprisingly, Dolezal’s case has incited a maelstrom of controversy. Since the news broke, she has alternately been derided as racist, mocked outright (a meme comparing Rachel to #Thedress is hilarious) and called crazy. But at heart, the questions that Dolezal unintentionally catapulted into the public consciousness is multilayered: What is race? And is it real? If Jenner can be transgender, is Dolezal transracial? Simply someone who feels she is a race different from the one she has been socially and culturally assigned since birth? Why can’t we shape our race the way we can increasingly shape our gender? In the context of fighting for not only dignity but for life itself, we need to use an understanding of the social construction of race to destroy the ideologies that tell us black people are dangerous, worthy of excessive policing, and less valuable than white people. And yet in the conversation surrounding Dolezal, I would argue it is actually a red herring to ask what her identity performance can tell us about race as a social construct. I argue this because the conversation around Dolezal has been a lot about what race is, and not enough about what race does. Through comparisons with Jenner, we continue to talk about the personal performance of self, localized around and on the individual body. We ask, out of curiosity, fascination, and fear: Why can’t Dolezal model her body, with bronzers and a weave, into an image of how she sees herself? Did she get her hair right? Is she transracial? Is she “passing”? It is interesting and important to inquire as to whether race can be felt, innately, and if that felt sense of self can be physically expressed. In the case of gender identity, these are the very questions that are vital to the understanding and acceptance of a vulnerable trans community that, as Laverne Cox reminds us, largely doesn’t look like the privileged space occupied by the (brave but) beautiful, white, wealthy Caitlyn Jenner. But what Dolezal’s case brings to light should not be the issue of whether race or gender is “real” without an understanding of context. It is misguided to transpose one on the other, to only ask what each category is, and from there what makes them similar or different. Instead, we need to ground discussions of the significance of Dolezal’s race on the question of how—how race works and who pulls the strings. The question of race, in other words, needs reframing as a question of power—at the individual and institutional level. Because of how race still drives the actions of institutions like law enforcement, legacies of slavery and the dehumanization of non-white people are not merely histories, but the scaffolding on which the present is built. An “is she or isn’t she” transracial debate is a moot point. A more apt comparison would be between Dolezal’s case and reverse racism. Racism is inherently dependent on an uneven distribution of power. Those in positions of power—in our society, people who are white—can discriminate through a variety of personal and institutional means they have access to. “Reverse racism” is an inherent contradiction, because disenfranchised people are structurally incapable of oppressing those in power, short of a revolution. Rachel Dolezal may well be sincere in feeling her identity is black. But that’s not what really matters. We can’t shape our race as we can increasingly shape our gender because the body-based terms on which race is built in Dolezal’s schema (where students must look “Hispanic enough” to share their experiences in a class about race), reflect a history where black people are seen only as black bodies. Race is not a category exchangeable with other identity categories, any more than gender is. Gender as a category has its own ongoing history of oppression. There are some parallels, yes, as the histories of gender and race undoubtedly intersect. But at a moment in America where struggles for reproductive rights, trans recognition, and black lives are all ongoing, it does none of these fights justice to collapse them together. Alexandra Sastre is a PhD candidate and Fontaine Fellow at the Annenberg School for Communication at the University of Pennsylvania. She writes on the construction, performance and commodification of gender, race and identity in popular culture. Her current research explores body positive online communities.